English Premier League side Liverpool may lose out on the signature of Stuttgart star Benjamin Pavard as they now face lots of competitions from a number of clubs across Europe. According to reports, the Reds face battle from Bundesliga giants Bayern Munich, English Premier League side Manchester United and North London side Arsenal. It has been suggested that Benjamin Pavard will only be allowed to leave to any club that meets with the financial demands of the club as well as any suitor that is willing to increase his current weekly wages. Benjamin Pavard has got all it takes to succeed in any of the big clubs having showed an impressive performance with his side this season in addition to his two goals in 40 games last season. The 22-year-old is tied to the German side until 2021 and has a release clause of £40 million but he could go for the highest bidder even above his asking price. However, Liverpool could miss out on the young lad knowing that they have got a number of options in his position. It is therefore unclear if Benjamin Pavard will be willing to move to a club where he would be relegated to the bench. There is no doubt that the confidence in Merseyside outfit Liverpool is increasing as the day passes by with the manager Jurgen Klopp team as they have continued to win games with just three left to the end of the season. The Reds team have got the ambition to win their first English Premier League title in 29 years and it is hoped that the current team under manager Jurgen Klopp will be able to achieve that. 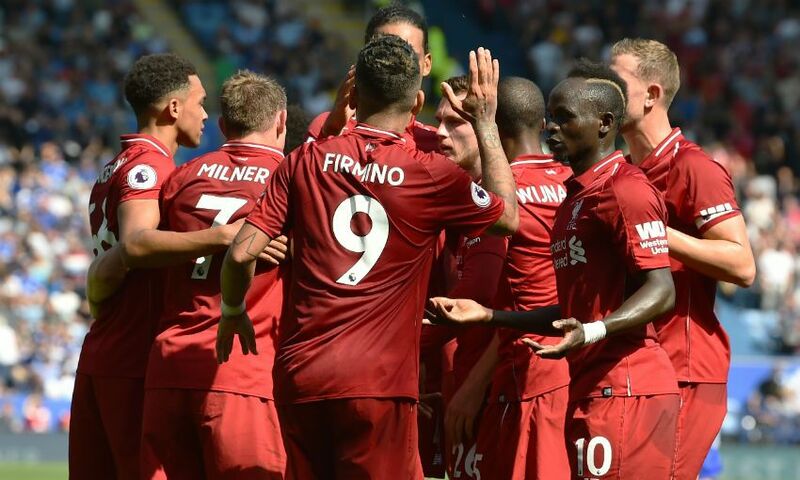 However, Liverpool legend Ian Rush has opined that the team have been better collectively, as he tipped them to secure the league title this season. According to him, individuals only win games but a team wins a title and that is being achieved by the collectivity in the team which is better than individuality. He noted that what his former side needed to do is to continue winning and they will smile home at the end of the season because they have got it in their hands. However, he hailed manager Jurgen Klopp for doing a good job of bringing the team together, noting that it is a major contribution that has helped the team with the successes so far. Meanwhile, a win for Liverpool will mean winning their first Premier League title in 29 years. Manchester United manager Ole Gunnar Solskjaer has always talked about the need to strengthen his squad this summer. According to the specific report from the Independent, Manchester United have made the signing of a new right-back one of their priorities for this summer’s transfer window. It was also revealed that they have shortlisted three players for the role. The said players include Thomas Meunier of French Ligue 1 champions Paris Saint Germain (PSG), Aaron Wan-Bissaka of South London club Crystal Palace and Kieran Trippier of North London giants Tottenham Hotspur. Manchester United are keen to replace Antonio Valencia who has battled with form and fitness this season. England international Ashley Young has deputised for Antonio Valencia but the former Watford and Aston Villa player has been found wanting on several occasions. Ashley Young was dropped for the league game against Merseyside giants Everton at the weekend as Manchester United produced their worst performance of the season. Everton handed out a 4-0 thrashing to Manchester United to boost their chances of finishing in the top seven at the end of this Premier League season. Wednesday is expected to produce one of most interesting derbies in the English Premier League as Man United and Man City are expected to clash. More to the derby is the fact that they both have things to battle for as Man City must win to be able to land the Premier League title with a point clear above Liverpool while United seek a win to be able to stand the chance of a top-four qualification, especially after suffering a 4-0 humiliation in the hands of Merseyside outfit Everton earlier at the weekend. However, Liverpool will also be affected by the result of the game as they currently sit top in the Premier League table with two points above Man City. Should the Red Devils see a win in the Wednesday clash against Man City, Liverpool will stand the chance of lifting the Premier League title this season while the Red Devil’s hope of securing a top-four finish would be redeemed. Liverpool defender, Virgil Van Dijk has admitted that his team will seek United to win the game but more importantly, the Red Devils will also benefit. Manager Jurgen Klopp has hailed his three forwards Mohamed Salah, Sadio Mane and Roberto Firmino for scoring 61 goals put together this season. He admitted that the fine form and quality of the three players have helped his side push for the league title and hope on the Champions League title at the end of the season. The Reds team are currently in the semi-finals of the Champions League and they are expecting to clash against Barcelona later next month while they are still in contention for the English Premier League title as they are sitting top in the league table. Jurgen Klopp added that the three players are yet to slow down in their feats this season, stressing that they still have the creativity and the speed to help out in decisive moments. However, the Merseyside outfit will hope that Man United are able to defeat Man City later on Wednesday so that their bid to win the league title would be boosted with just three games left. The Reds team have not won a domestic league title in 29 years and they are desperate to break the deadlock with manager Jurgen Klopp also keen to win his first title as Liverpool boss.